Or is it a Crow? Ravens didn’t live in Dallas, where I grew up. It was only after I moved West that I began seeing them. They looked just like crows to me. But being the curious person that I am, I soon wanted to know how to tell a raven from a crow. While ravens are larger, unless you see them side by side you can’t really identify them by that clue. But it’s easy to tell them apart if you see them flying. 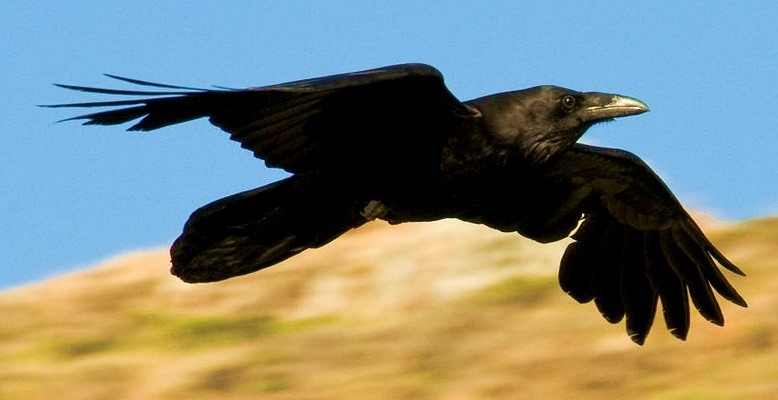 The raven’s tail is wedge-shaped, while the end of the crow’s tail is straight. 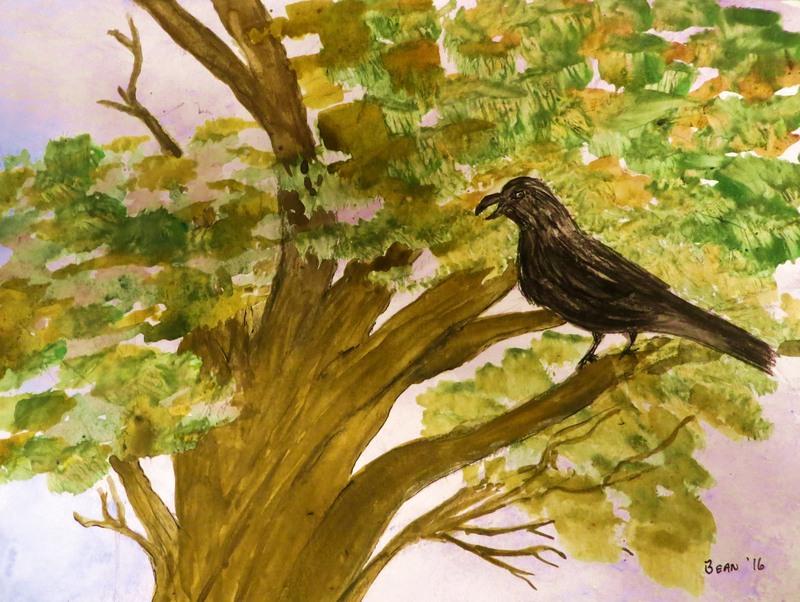 I see a pair of ravens almost daily here in Tucson, They land in the trees outside my windows and hop about on the roof opposite my back balcony – and they inspired my latest watercolor. Bean Pat: Daily Echo http://tinyurl.com/hjeleff This blog so reminds me of the way I traveled and dawdled when I lived in my RV and was exploring North America. U think my wanderlust is getting to me. I need to take a road trip soon. Now I know … outside my window the crows gather. Inside the house the cat currently named Raven watches the action, teeth chattering and tail twitching. Sounds like watching the Raven is fun. Maybe the crows, too. Good advice, and thanks for my first belly-laugh of the day.